The effects of particles on the photosynthesis of vegetation, which is a sink for fine particulate matter (PM2.5) deposition, are still not well understood. Here, we carried out indoor measurements to evaluate the variation dynamics of net photosynthetic rate and stomatal conductance of four plant species with different leaf characteristics under different PM2.5 levels. Then tree leaves were sampled and the groove proportion, leaf trichome density, stomatal density and stomatal size were quantitatively studied by scanning electron microscopy (SEM). The stomatal conductance of the 4 species had a close positive correlation with photosynthetic rate. Net photosynthetic rate and stomatal conductance declined over time at elevated PM2.5, and the rate of the decline became more rapid with higher concentration of PM2.5. The inhibiting effect might be caused by the closure of the stomata and the decrease of stomatal conductance, which was proved by the reduction of the stomatal size of under the condition of PM2.5 pollution. Leaf trichome and groove seemed to show a protective role for plants from PM2.5 exposure and be responsible for the difference of photosynthetic rate and stomatal conductance under the condition of PM2.5 pollution. 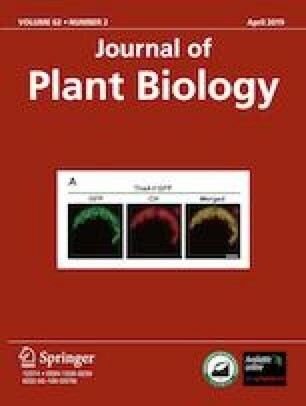 The higher groove proportion and the presence of trichomes on the leaf surface in Neolitsea aurata and Lindera kwangtungensis absorbed some particulate matters and buffered the effect of PM2.5 pollution on stomata.